Dag Demarkow was born in Denmark and raised in Sweden, and spent much of his childhood surrounded and inspired by his mother’s cooking in their family-run restaurant. Entering the workforce at 15, Dag began as a kitchen hand and catering assistant in various hotels in Sweden. At age 17 Dag commenced his apprenticeship in Denmark at ‘Hotel Marienlyst’ - a well-established hotel with over 150 years history - where he learnt the essential foundations of Danish and French cuisine. After completing his apprenticeship, Dag took a position at ‘Gourmet Restaurant Taverne’ in Switzerland, where not only did he learn the essential skills of fine dining cooking, but was also taught the fundamentals of running a successful kitchen. At age 23, Dag moved to London and worked at ‘The Rochester Hotel’, and later moved on to ‘Harrods Ltd’ where he spent the next three years expanding his knowledge of fine dining and retail operations. January 1998 saw Dag make the big move to Australia. Settling initially in Mildura, he sought work in local restaurants before taking employment at a five star hotel in Hayman Island. Dag was second-in-charge for three years, and was mentored by Executive Chef Marcel Nosari, whom later coaxed Dag back to Switzerland at Swissôtel Le Plaza Basel to again become second-in-charge. From June 2005, he had the pleasure to work with Anthony and Nola Murphy at Trentham Estate Winery and Restaurant for about 5 years. 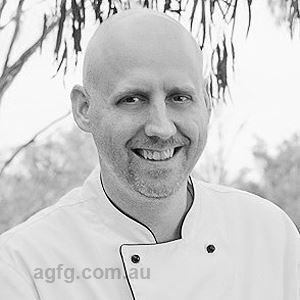 From 2010 he worked as a consulting chef in the restaurant industry and had over the next three years achieved success, including a new opening with the restaurant “Unwined” in MacKay, Queensland. Drawing on his extensive experience, as of April 2013 Dag now runs Trentham Estate’s Restaurant as Head chef/proprietor with his wife Michelle who is the wedding coordinator, where he enjoys cooking modern Australian dishes using local ingredients and modern cooking techniques. Over the past two years, Dag has built an even stronger reputation for Trentham Restaurant within the hospitality industry. Trentham Restaurant is now considered one of the top three destinations for wedding and functions in the district. 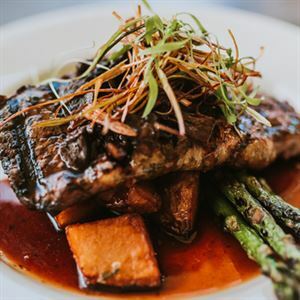 Today Trentham Restaurant is well renowned as one of the best food and wine destinations in the district. During Dag’s extensive career he has had the pleasure to cook for many well-known personalities including the Danish Royal Family, Princess Diana, Bill Gates, and Brendan Fraser just to mention a few. Have you always wanted to be a Chef ? Dag always wanted to be a chef, growing up running around the family restaurant kitchen gave him the understanding and passion for food. Modern Australian, using local ingredients with modern techniques. Just to mention a few: Gordon Ramsey, Ferran Adrià, Heston Blumenthal – The Fat Duck, Thomas Keller - The French Laundry, Daniel Humm - Eleven Madison Park, former executive chef Marcel Nosari, His mother Eva. When guests realise there is great food to be had in a rural area, not only the big cities and keep on coming back. Salt! This is what makes our food taste good when used correctly. Ferran Adrià once declared salt "the only product that changes cuisine.” This is because, as he and all seasoned cooks know, sodium chloride not only adds saltiness, which human beings innately adore (because we need it to live), but it also skews the overall flavour to a positive effect. It makes food sing by suppressing bitterness, enhancing sweet and savoury, and turning up the volume on the aromas. Our “Trentham Cliffs Murray Cod, broccolini, lemon beurre blanc, saffron potato” it’s simple, fresh and local. It’s a wonderful product that is underutilised in our region. Currently, we are working on our Murray Cod sourced from our good friend from Trentham Cliff’s fishery.